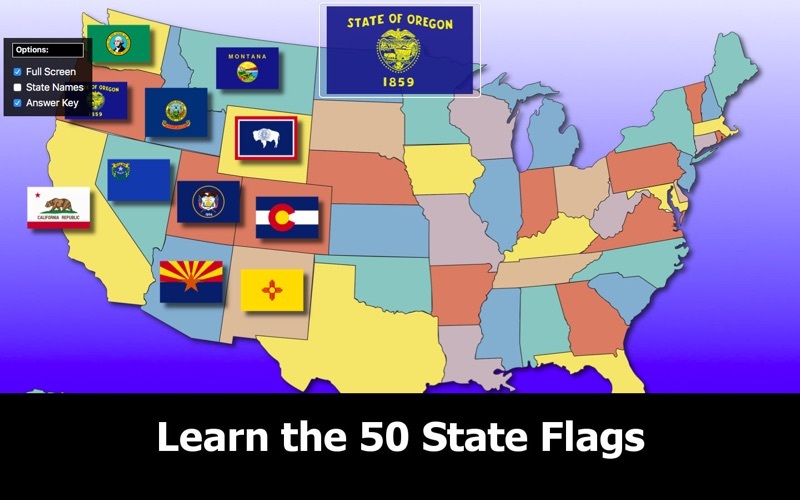 Learn the locations of US states, capitals, and flags with interactive learning! 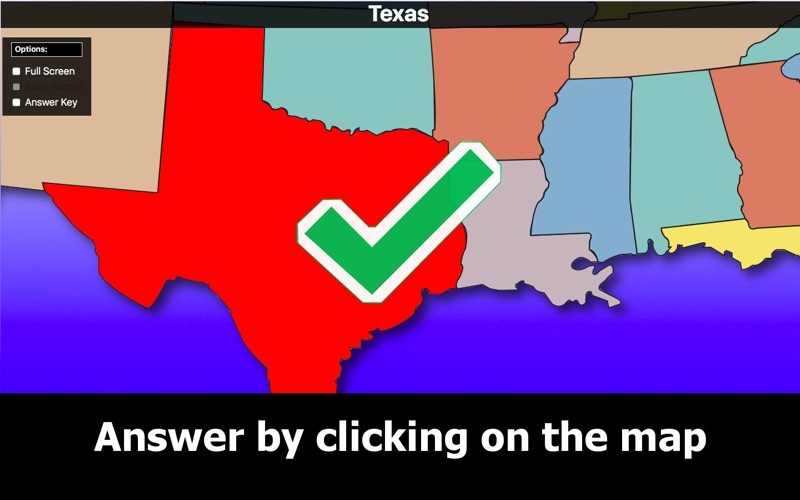 Select the correct answer on a scrollable, high-resolution image of the United States. 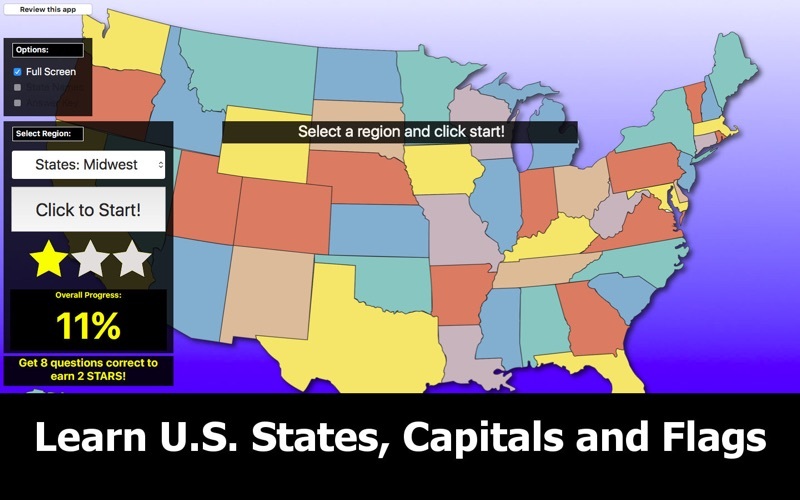 Perfect for students, teachers, and anyone wishing to learn U.S. states and capitals using a fun and interactive method. 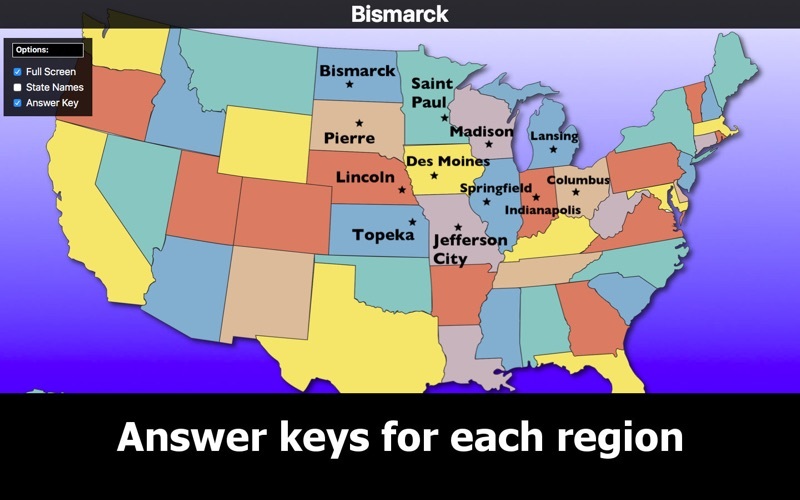 •Answer keys for each region/mode. 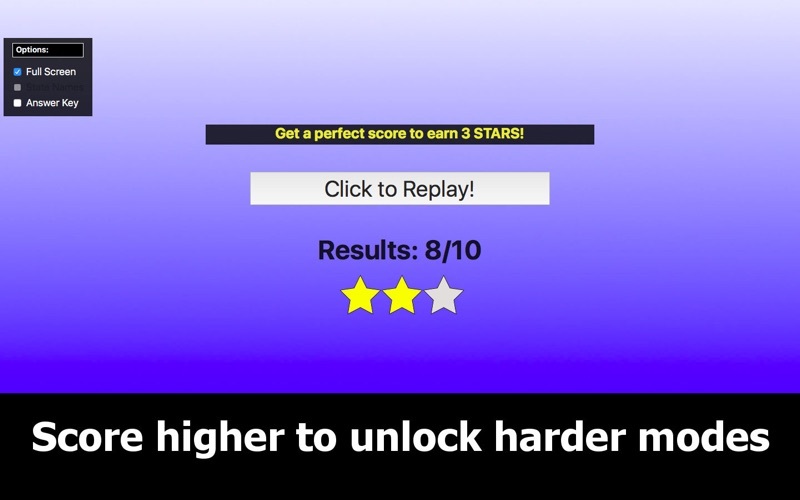 Careful, your star score won't be saved if you use it! 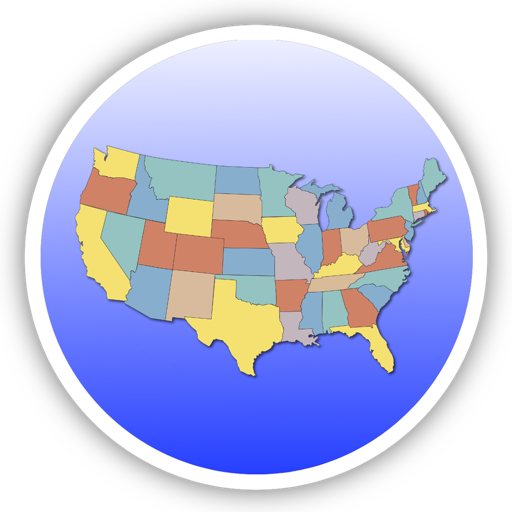 •Two Midterms and one Final Exam, combining all of the modes together for the ultimate test of your knowledge!